Are you new to a management role? If you think you made it at last and now all you have to do is boss people around, you're in for a big surprise. Management is very hard work. It can be wonderful and it can be hell. It can be wonderful and hell all in the same day. This course is aimed at those new to a management role. This course has practical exercises and regular self-assessment and interaction throughout to keep the delegates focused. It's geared for account managers, campaign managers or newly appointed account directors who would like to learn more about managing and motivating a team or a portfolio of clients. 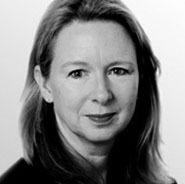 Claire Walker has runs Firefly for 20 years and is accredited CIPR and PRCA trainer. She will help all delegates to write a personal development plan as to how they can improve their skills and understanding to be a better balanced manager.